What makes a great fairy-tale destination? It's a good question, but to answer it you need to ask another: what makes a great fairy tale? We think the keyword is 'magic' – and we don't mean the abracadabra kind, but the thrilling sense that anything could happen. There really could be a princess sleeping in that tower; perhaps there really is a gingerbread house hidden in those trees. Parisian author Georges Duhamel called it ‘the most beautiful town in the world’. 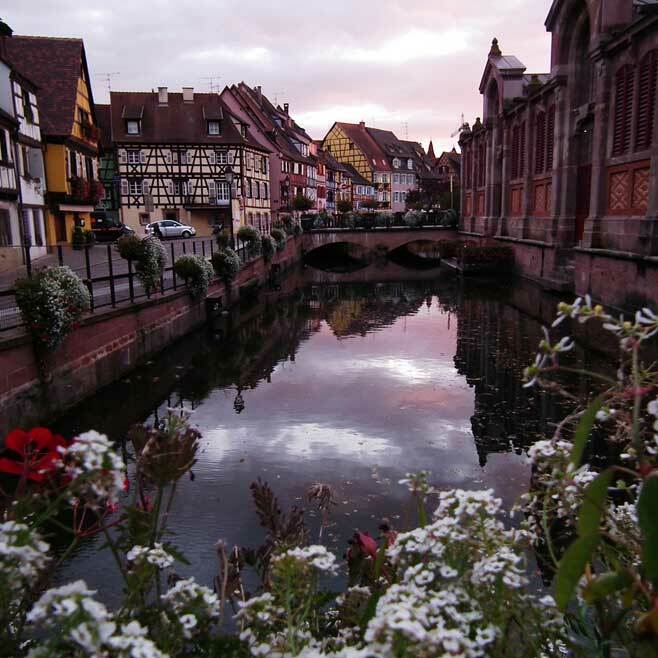 Big words, Georges… but Colmar's winding streets, colourful houses and pretty canals really are the things dreams are made of. Come at Christmas for one of most atmospheric and long-running festive markets in France. Wait, is this one actually a… no? It's real? Okay. Believe it or not, this isn't a modern fantasy but a genuine 19th century castle in Germany's Bavaria region. Though if it looks familiar, that's because it was the inspiration for the Sleeping Beauty castle at Disneyland in Anaheim. It also appeared in Chitty Chitty Bang Bang. Talk about making an impact. Chambord provided a crucial 'lightbulb moment' for the animator behind Disney's Beauty and the Beast. Talking on the film's audio commentary, Disney legend Glen Keane says: "I’ll never forget driving up there through the mist and fog and seeing it. I thought, 'This is the Beast’s castle. This is where he lives.'" 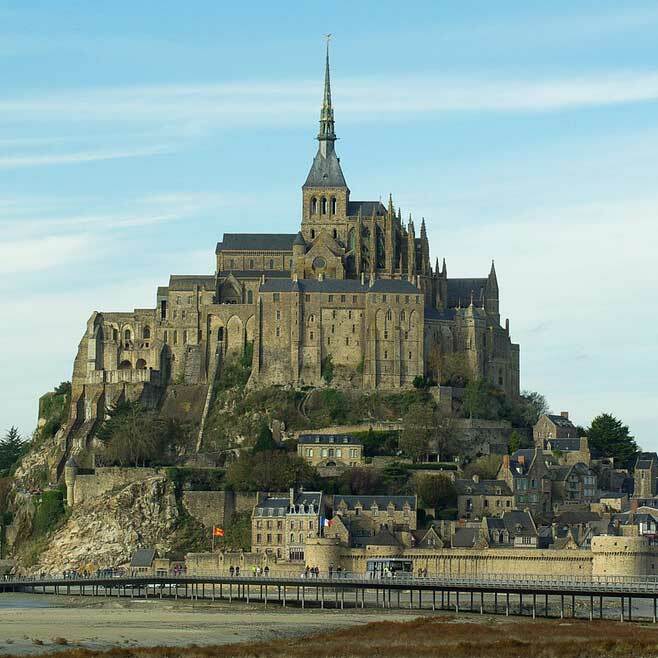 A circular walled city that rises from the sea, and can only be accessed at low tide – if any place sounds like a fairy tale come to life, it's Mont Saint-Michel. No wonder the Normandy town is France's most visited attraction outside of Paris. Disney animators drew on it when they created Corona, the birthplace of Rapunzel in 2010's Tangled. Dunnottar might lie in ruins today, but for fans of Disney's Brave, the setting will be instantly familiar. The clustered stone buildings; the rocky outcrop; the water far below. We're at DunBroch, the home of Princess Merida. 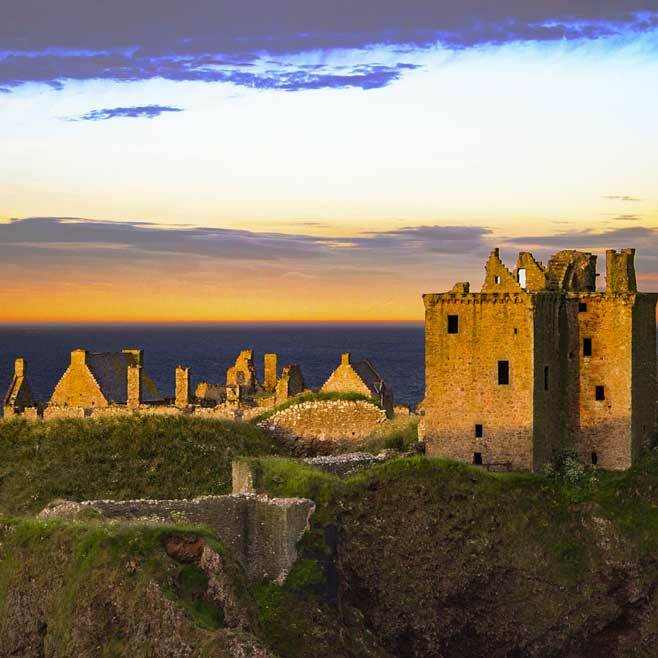 Real-life Dunnottar was once captured by William Wallace, the Scottish rebel immortalised in Braveheart. Melissani was once a place of worship for the Greek god Pan, but was lost until 1951. When explorers did rediscover it, they found the underground lake had another surprise in store: at noon, the sun pours through a hole in its roof, illuminating the crystal-clear water below. 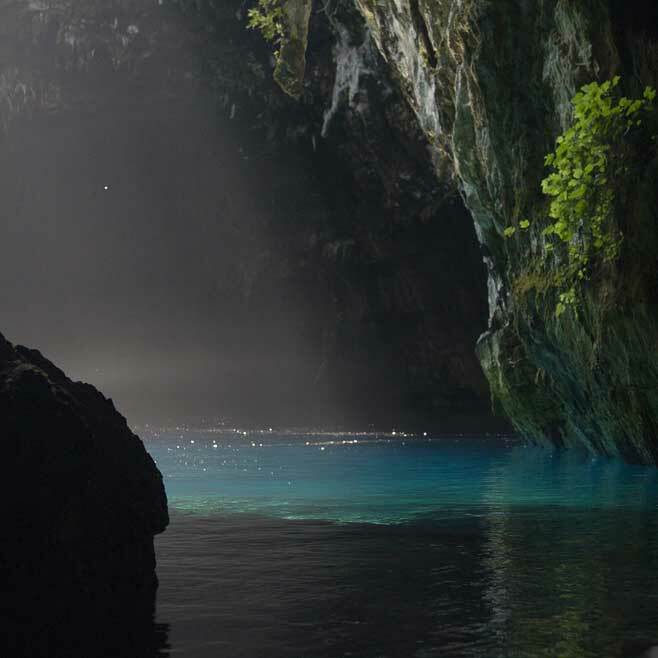 Today, boat tours into the 'Glittering Cave' feel like trips into another world. In the world of fairy tales, love conquers all. And there is no greater testament to love than the Taj Mahal, a vast, marble-encased tomb for the wife of a heartbroken emperor. It may not have brought her back, but it has preserved her memory for centuries. The jaw-dropping building inspired the Sultan's Palace in Disney's Aladdin. Picture a serene lake surrounded by a dense forest, with a canvas of mountains in the distance. In the middle, a church rises from a small island; on the opposite bank, a castle looks down from a high cliff. Imaginary? Nope – this is Lake Bled, Slovenia's most popular resort. Head to nearby Vintgar Gorge for more fantastical landscapes, including deep canyons and crashing waterfalls. What goes on behind waterfalls? Is it possible they're hiding secret caves or gateways to underground cities? At this magical spot near Reykjavik, you can find out. A path leads behind the 60-metre-high fall… and while you won't find any secret worlds back there (sorry) it's guaranteed to inspire your wildest imagination. Enter this wonderland of twisted rocks and coloured lights and you'll find myths at every turn. Look out for one mighty pillar said to be the Magic Needle, a weapon from the Chinese fable Journey to the West. 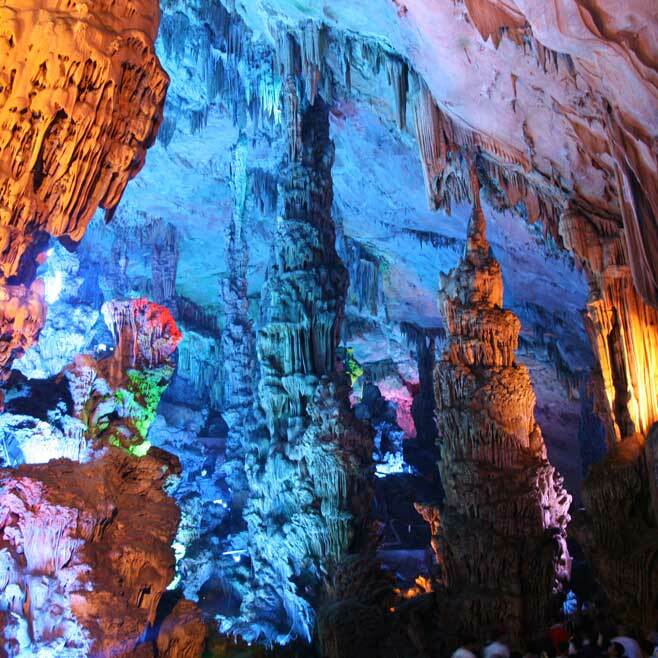 It's in the 'Crystal Palace of the Dragon King' chamber (even the cavern names sound like fairy tales). Remember the lantern scene in Tangled? We won't spoil it for anyone who hasn't seen the film – let's just say that it's a solid-gold piece of Disney magic. 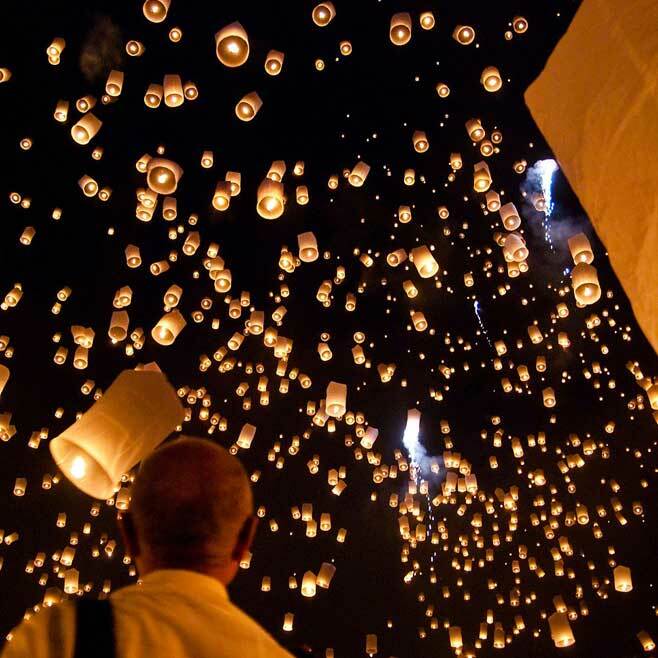 The Yi Peng festival in Chiang Mai is as close as you can get to it in real life, with thousands of rice paper lanterns rising slowly into the night sky (watching it from a boat with a hunky, reformed thief is optional).